This cocktail will make your brunch life. Have you ever seen the t-shirt “brunch so hard”?? Well, this one will wear the t-shirt outta there. 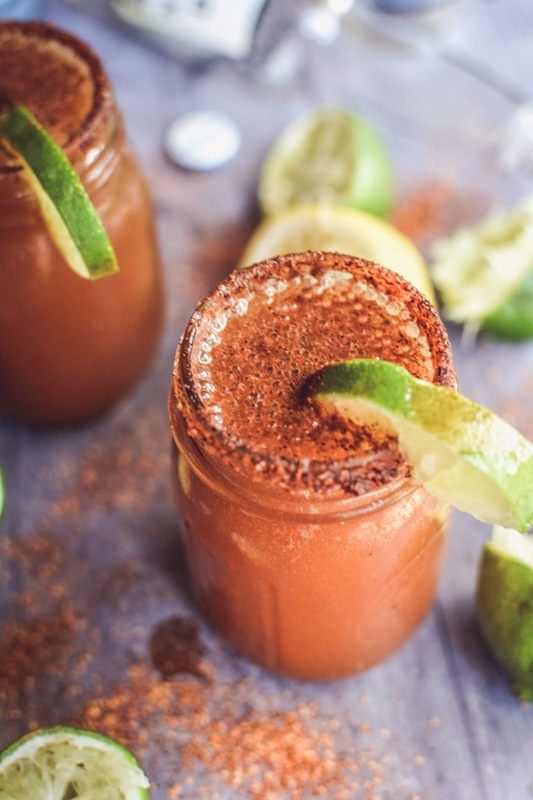 I first had a Michelada in Mexico a few years ago and I absolutely loved it. I love that it’s not overly tomatoey (not sure if that’s a word) and has a nice kick of tequila and a good cold Mexican beer. What’s not to love, right?? 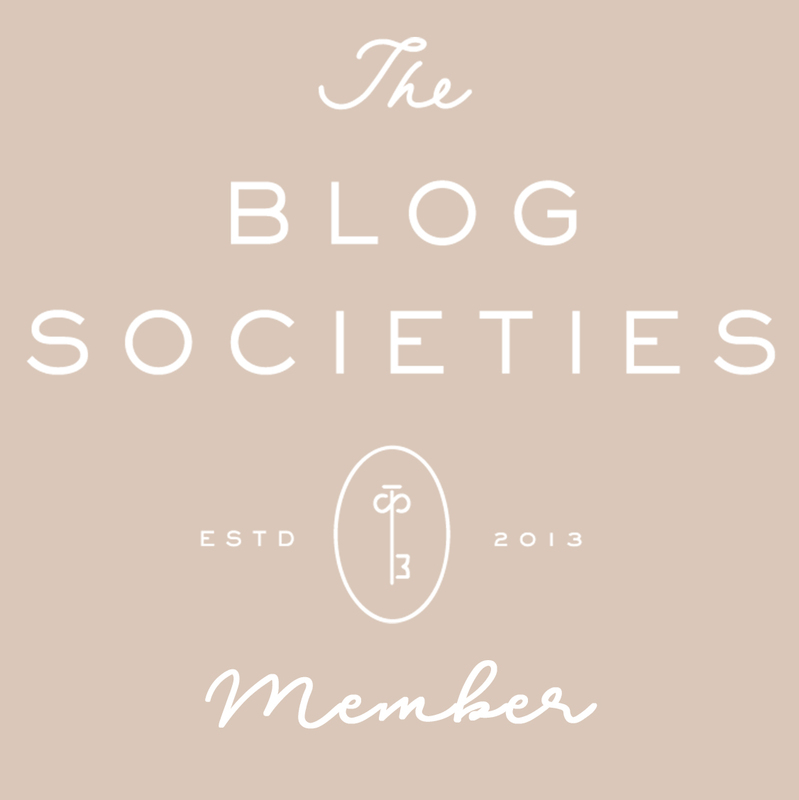 So when I was making this one to share with you I decided to make it extra, extra special. 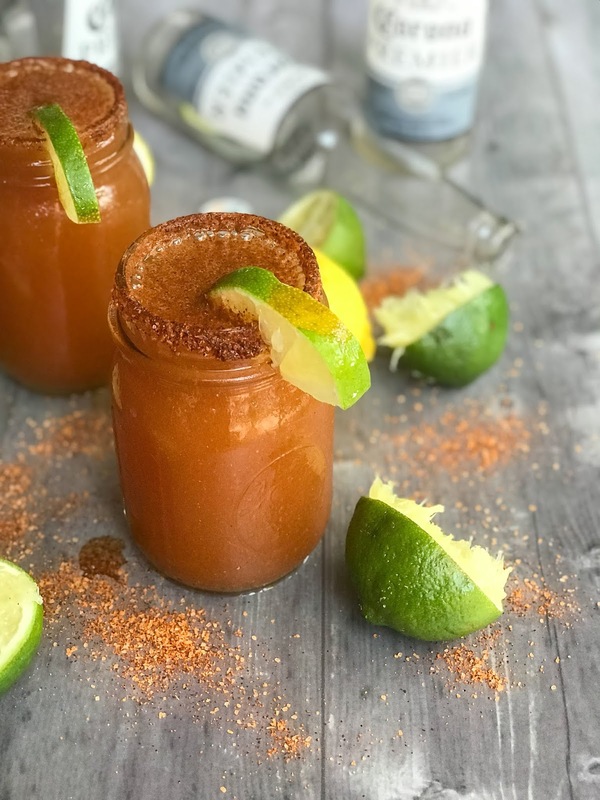 This delicious Michelada is made with Mezcal in place of tequila and has a little more spice than the usual, thanks to my homemade spice blend. I think you’re going to love it. I really think that your brunch is going to thank me from the bottom of its heart!! Mix all ingredients together and store in an airtight container in the refrigerator for up to 1 week. 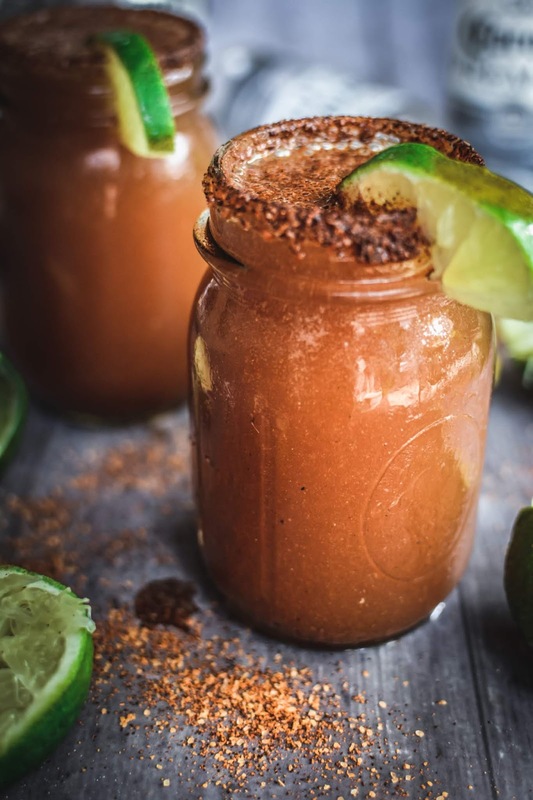 Rub a lime around the top of a frozen mason jar and add the chili salt to the rim. Add the Mezcal, Michelada Blend, and Worcestershire sauce to the jar. Top with the beer. Garnish with a lime.